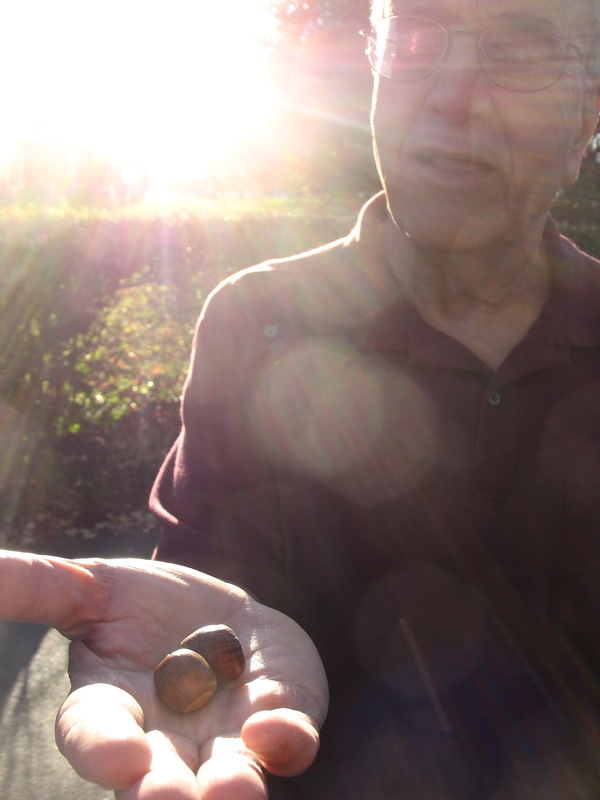 Baba holds out two acorns. “No way!” “Come on!” We protested. He was obviously holding just a wee little acorn. 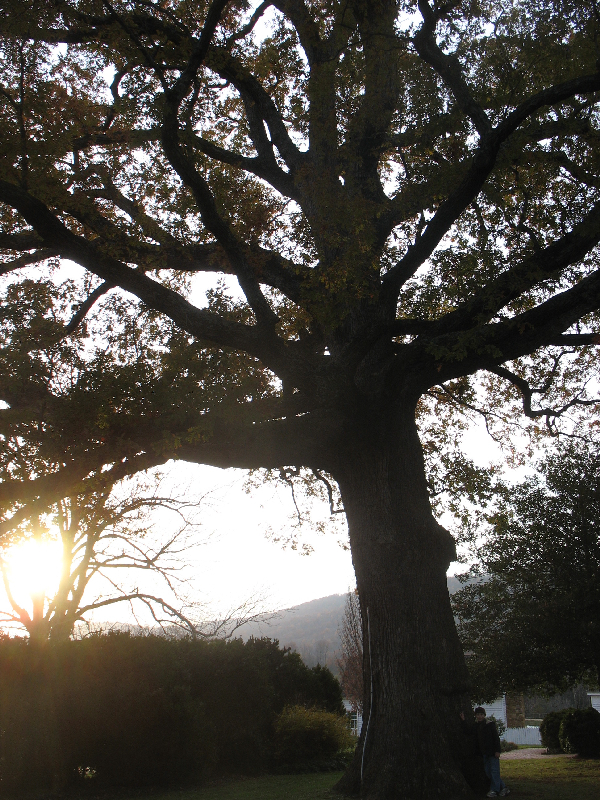 Then he’d remind us how the acorn was a potential massive tree – that in a matter of time and with the right conditions it would be that great big oak tree he claimed it already was. I couldn’t help but think of the acorn when I sat down to draft a blog post about a question we have been asked since opening our business: Why did we name it Tender Sapling? Not because my husband and I named it that to honor my father’s favorite woodsy wisdom – if we wanted to do that, we might have named it Acorn or similar. No, the acorn comes to mind because it is another take on the wisdom of parenting like a gardener. When we parent like gardeners, we see the end in the beginning, while tending to the moment at hand. For example, a gardener plants a sapling where the conditions are right and where there will be enough room for it to achieve its full height and breadth. It may first be planted in nursery conditions and transplanted outdoors, into the elements, when it is strong enough. But when the gardener chooses its permanent home, it is with an eye to the future, keeping in mind the full potential of the sapling, knowing that each acorn is potentially a grand oak. So it is with parenting. While we must be present in the moment and interacting with our child at his or her current developmental stage, when we parent like a gardener we are aware of the general future trajectory of our child. 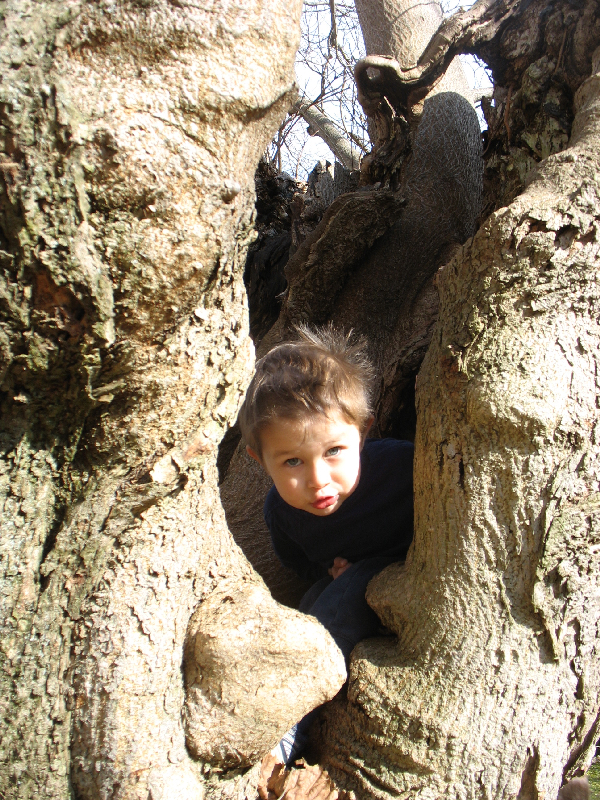 Remembering the oak tree he or she will become can make it easier to show respect to the soul inside our child’s young frame, giving it the right conditions to help it grow. Acorn wisdom can also help us keep the long view when the diaper leaks all over the family room floor or when the latest sibling spat finds us with our patience levels on empty. The magic of Baba’s acorn lesson did sour during my teenage years. Not that I doubted it fully, but I was a teenage girl and bound to dutifully scowl at a few overtired lessons from my dear father. Baba gave it a rest and somehow, years later, the magic was restored. Our life paths have overlapped again, as we now live in the same town and are fortunate to see each other several times a week. Watching the acorn wisdom unfold before my toddler’s eyes, my sight went a bit blurry from the flood of emotions. There I was, far from my own acorn years, a tree of my own, watching my father – a great big oak – interact with my little acorn turned tender sapling. And it felt great to be part of the forest of life. Categories: Virtues | Tags: long view parenting, Mindful parenting, parenting tips | Permalink. I love the imagery of acorn wisdom. And to see you dad passing it on to your children is magical! This is sooo beautiful Emily, brought tears to my eyes. Aw, that’s so sweet! Thanks, Chelsea!